The selection of trees to be harvested is a core tenet of uneven-aged forest management; however, few studies have focused on the process of tree selection. A set of stand structural parameters (uniform angle index, W; mingling index, M; dominance index, U) based on tree neighbor-spatial relationships, are particularly suitable for expressing the structural characteristics of forest stands. Such indices were used to parameterize thinning in three plots (a-c, each 100 × 100 m2) in a Korean pine broad-leaved forest in northeastern China and one plot (h, 70 × 70 m2) in a pine-oak mixed forest in northwest China. Low-intensity single-tree selection was applied according to the principles of structure-based forest management (SBFM), i.e., to promote high mixture, obvious size differentiation, and random pattern with the aim of improving the overall structure of the managed plots. A group of thinning priority indices (v_ij, k_ij and z_ij) were calculated according to the bivariate distributions of the structural characteristics of harvested trees and stands before harvest. Our results demonstrated that v_ij, k_ij and z_ij adequately describe the spatial relationship between each tree and its nearest neighbors, and their combinations can be efficiently used to set thinning priorities on harvested trees with different structural characteristics. Their application can reduce the subjectivity of the selection process and improve the speed and accuracy of the choice of trees to be harvested in uneven-aged mixed forests. Thinning effect on light regime and growth of under planted red oak and black cherry in post-agricultural forests of south-eastern Canada. New Forests 43: 941-954. Thinning intensity and growth response in SW-European Scots pine stands. Annals of Forest Science 65 (3): 308. Runoff responses to forest thinning at plot and catchment scales in a headwater catchment draining Japanese cypress forest. Journal of Hydrometeorology 444-445: 51-62. Natural disturbance and stand development principles for ecological forestry. General Technical Report NRS-19, Northern Research Station, USDA Forest Service, Delaware, USA, pp. 44. Modelling forest development. Kluwer Academic Publishers, Dordrecht, Netherlands, pp. 51-300. Forest structure and diversity. Springer, Berlin, Germany, pp. 30-62. Understory light regimes following silvicultural treatments in central hardwood forests in Kentucky, USA. Forest Ecology and Management 279: 66-76. The influence of cutting cycle and stocking level on the structure and composition of managed old-growth northern hardwoods. Forest Ecology and Management 259: 1151-1160. Quantitative analysis of forest spatial structure. China Science and Technology Press, Beijing, China, pp. 16-18. Structure-based forest management. China Forestry Publishing House, Beijing, China, pp. 28-70. A guide to structure-based forest management. China Forestry Publishing House, Beijing, China, pp. 20-144. Forest management. China Forestry Publishing House, Beijing, China, pp. 230-236. Spatial methods for quantifying forest stand structure development: a comparison between nearest-neighbors indies and variogram analysis. Forest science 49: 36-49. Statistical opportunities for comparing stand structural heterogeneity in managed and primeval forests: an example from boreal spruce forests in Southern Finland. Silva Fennica 30: 315-328. Effect of light on the germination of forest trees in Ghana. Journal of Ecology 87: 772-783. The bivariate distribution characteristics of spatial structure in natural Korean pine broad-leaved forest. Journal of Vegetation Science 23: 1180-1190. Spatial structural characteristics of three hardwood species in Korean pine broad-leaved forest - Validating the bivariate distribution of structural parameters from the point of tree population. Forest Ecology and Management 314: 17-25. Spatial structure of timber harvested according to structure-based forest management. Forest Ecology and Management 322: 106-116. Structural features of old-growth Australian montane ash forests. Forest Ecology and Management 134: 189-204. A comprehensive framework of forest stand property-density relationships: perspectives for plant population ecology and forest management. Annals of Forest Science 71: 325-335. Rare species and ecosystem functioning. Conservation Biology 19: 1019-1024. Ecosystem diversity of warm temperate deciduous broad-leaved forest in Dongling Mountain. In: “Ecosystem diversity in key areas of China” (Ma K ed). Zhejiang Science and Technology Press, Hangzhou, China, pp. 53-2108. Thinning intensity and growth of Scots pine stands in Finland. Forest Ecology and Management 201: 311-325. The influence of thinning on rainfall interception by Pinus pinea L. in Mediterranean coastal stands (Castel Fusano - Rome). Annals of Forest Science 68: 1323-1332. Soil and vegetation response to thinning White Cypress pine (Callitris glaucophylla) on the north western slopes of New South Wales, Australia. Plant and Soil 285: 245-255. The keystone-species concept in ecology and conservation. Bioscience 43: 219-224. The influence of canopy gap size on natural regeneration of Brazil nut (Bertholletia excelsa) in Bolivia. Forest Ecology and Management 127: 119-128. 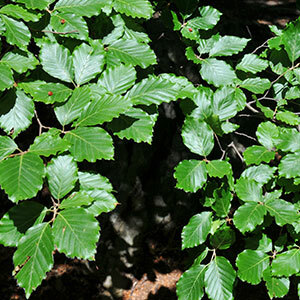 Soluble N compound profiles and concertrations in European beech (Fagus sylvatica L.) are influenced by local climate and thinning. European Journal of Forest Research 125: 1-14. The southern pine beetle prevention initiative: working for health forests. Journal of Forestry 106: 261-267. Integrating dynamics into management of complex forests: seeking balance in an unbalanced world. In: Proceedings of the Conference “Complex Stand Structures and Associated Dynamics: Measurement Indices and Modelling Approaches”. Sault Ste. Marie (Ontario, Canada), 29 Jul-2 Aug 2007. Ontario Forest Research Institute, Sault Ste. Marie, Ontario, Canada, pp. 20. Stand structure indices as tools to support forest management: an application in Trentino forests (Italy). Journal of Forest Science 59: 159-168. Analyzing and modelling spatial woodland structure. PhD thesis, Bangor University, Bangor, Maine, UK, pp. 36-227. Overstorey and juvenile response to thinning and drought in a jarrah (Eucalyptus donnex Sm.) forest of southwestern Australia. Plant and Soil 365: 291-305. The essential oil components of Cinnamomum cassia: an analysis under different thinning models of plantation Pinus massoniana. Journal of Forestry Research 3: 707-717.